This is a 12 volt DC to 230 volt AC power inverter with 8000 watts continuous power handling and 16000Watts peak power, modified sine wave, thermal shutdown, reverse polarity protection, low voltage shutdown, low voltage alarm. Because it could damage the inverter and your appliance! 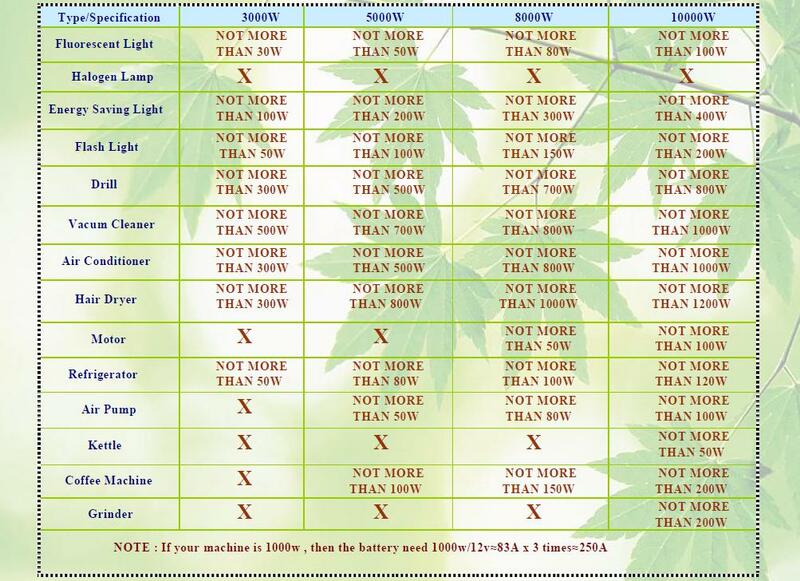 If you want to use our Power Inverter with a special Appliance,please ask us first!